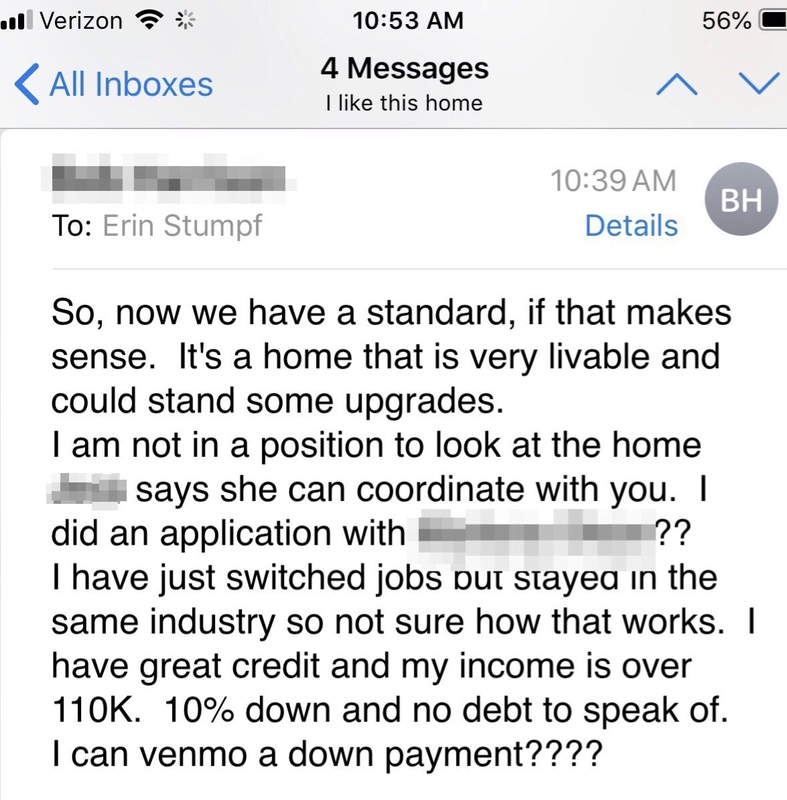 So there is a first time for everything, and this week a client asked me something I have never before been asked: if he can send his downpayment funds via Venmo. In the age of money transfer apps, that is a totally legit question. For those of you who don't know, Venmo is a popular money sending/transferring app. My husband and I have a Venmo account...and our most frequent use for Venmo? Loaning his 20 and 23-year old sons gas money every once in a while, or occasionally reimbursing a friend or colleague for a meal. There are other money sending apps -- PayPal is sort of the "old school" one, and some banks offer a feature called Zelle that essentially does the same thing. There are probably other ones too. These apps can be super convenient obviously, but will escrow companies (the neutral 3rd party that facilitates the transfer of title and handles the funds) accept funds transfers from them for initial deposits and downpayments for real estate purchases? The answer is -- NO. They will not. And you might wonder why...well for one, you cannot just walk a bag of cash into an escrow company either. Escrow companies are themselves financial institutions, which in California at least are heavily regulated, usually by the California Department of Business Oversight. Venmo by its own admission is not set up for business transactions. Additionally, the amounts typically involved in real estate transactions to purchase homes or investment properties tend to be pretty large. Most of these apps have daily or weekly limits that prevent transfers in excess of a few hundred or a few thousand dollars. And with that, while I believe Venmo transactions may be free if linked directly to a bank account, many of these accounts charge significant transaction fees -- up to a few percent. If you were to send your $75,000 downpayment via one of these apps, the sender or recipient might be charged a couple thousand dollars in these fees alone. These accounts are often linked with credit cards, so I am not sure it is advisable to "charge" your downpayment. 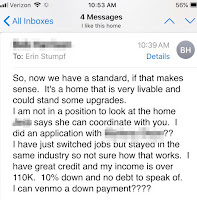 In fact I am sure your lender would not like this at all as it could significantly change your loan debt-to-income ratio. Security of these transactions is potentially also a concern. While transactions are probably encrypted, it is not difficult for hackers to hijack a phone where the app lives, or what if you physically lose your phone logged into your app's account with a large fund balance awaiting transfer? Additionally, when sending or receiving funds via Venmo, your transaction history is public. Do you want the world to know you just sent a large sum of money to an escrow company? Also, funds on deposit at banks are FDIC insured and funds that live in these apps are not. Your best bet -- physically walk into your local bank or credit union branch and arrange for a wire transfer of your funds to the escrow company. Depending on your account type, these wire transfers may be free, or you may be charged a small fee of perhaps $25-$35. You may also obtain a cashier's check from your bank and walk that into an escrow company. While these bugs with money transfer apps may be worked out sometime in the future, for now I do not anticipate escrow companies to rush out and create Venmo, PayPal, Zelle, or other accounts. But perhaps this is something to consider as attitudes and culture shifts.